After appearing several times in the unofficial news, or rumors since the beginning of August 2014, Nikon has finally officially announced its latest DSLR camera called the D750. Nikon D750 is offered with a compact design. This new camera is made based on a combination of magnesium alloy and carbon fiber. The combination of high quality materials will make the D750 is sturdy and comfortable in bad circumstances. After all, the Nikon D750 has been supported by several attractive features, so the Nikonian and Nikon DSLR enthusiasts will be excited to bring this sturdy camera anywhere. 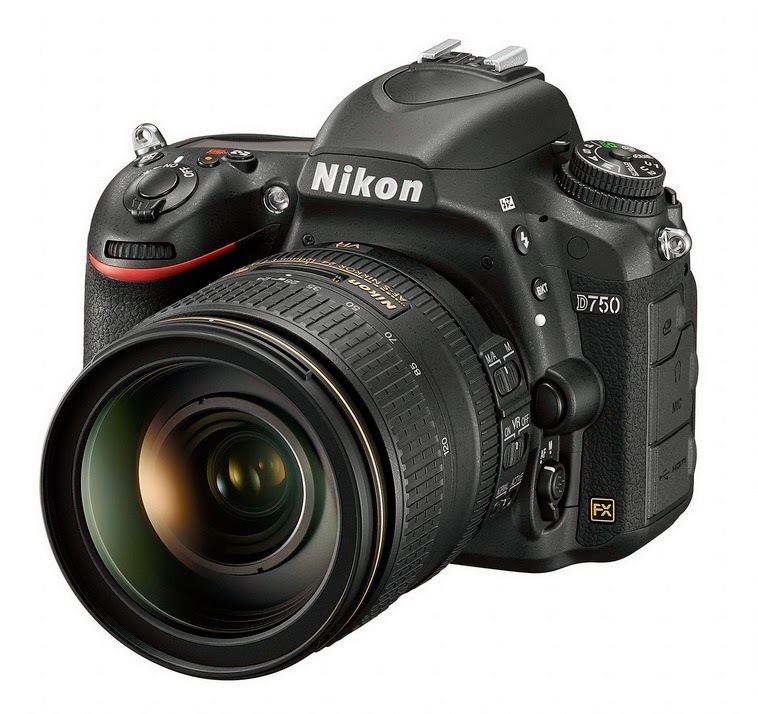 Nikon D750 has a 24.3 MP CMOS sensor, FX format, and reinforced with EXPEED 4 image processor. For your information, this processor is also used on Nikon DSLR cameras are more expensive, D810. Nikon D750 even enriched with 51-point autofocus sysem. You will also be fascinated with the D750 because the new camera is equipped with an optical viewfinder that is able to cover 100% frame. You will enjoy a more sophisticated screen, moreover the Nikon D750 also has ISO 100-12800. Nikon D750 is a full frame DSLR camera. Is Nikon D750 could be a serious challenger to Canon camera range, especially for the DSLR class? If yes, is it possible D750, can be a threat on the Canon EOS 6D or Canon 5D Mark III. 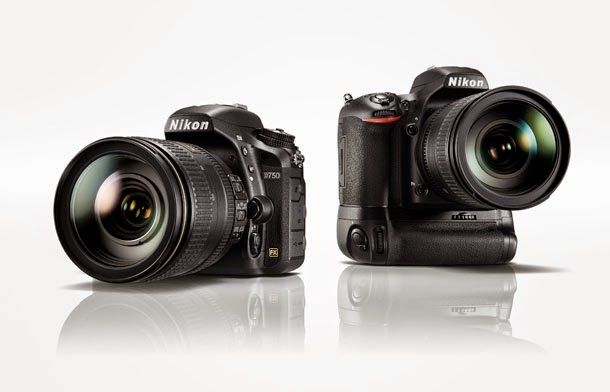 If you look at the resolution aspect, the Nikon D750 is superior, than the Canon EOS 6D or 5D Mark III. As we know, the Canon 5D Mark III has a resolution of 22.0 megapixels, while the Canon EOS 6D is equipped with a resolution of 20 MP. Meanwhile, Nikon D750 24.3 megapixel resolution strengthened. However, professional photographers agreed, that the amount of megapixels is not the most important factor, to make sharp pictures and brilliant. So, what features are relied on Nikon D750? In addition to considering the above explanation, let's see what you can get from a D750. The photography enthusiast who wants to make creative pictures, then you will be able to maximize the various features of the D750 perfectly. This camera has been equipped with the Auto modes such as auto [flash off]). Also scene modes such as portrait, landscape, child, sports, close up, night portrait, night landscape, party or indoor, beach and snow, sunset, and dusk till dawn, plus pet portrait, candlelight, blossom, autumn colors and food. You also can create unique photos with special effects modes consisting of: night vision; color sketch; miniature effect; selective color; silhouette; high key and low key. Nikon enthusiast or a fan of DSLR camera will also be satisfied by a Nikon D750. This DSLR camera has been strengthened by the integration of Wi-Fi. Please note the D750 is an FX format DSLR camera with the first that has Wi-Fi connectivity in an integrated manner. On the back of the D750 there is a tilting 3.2-inch LCD display. The LCD can be tilted up to 90 degrees, and can be turned down to 75 degrees. Thus you can be maximized to create a variety of creative photo, you can even make the Nikon D750 a great money maker. You can sell your stock pictures offline and online. You can find information about how to make money from the world of photography on the Internet. Maximize the search engines such as Google, so that you can enroll in an online photo sales site that offers the most attractive compensation or commission. Nikon D750 is also equipped with a programmed auto with flexible program (P); shutter-priority auto (S); aperture-priority auto (A); Manual (M); U1 (user settings 1); U2 (user settings 2). Nikon D750 which makes it unique because you can maximize the built-in flash on the camera for various shooting conditions. Flash on the D750 you can set the various options such as Auto, portrait, child, close up, night portrait, party or indoor, pet portrait, color and sketch. Auto flash on this camera is with auto pop-up, you can even combine with P, S, A, M, food, and you can use the manual pop-up with button release. Are you curious to have this new camera? If you want to have it, then you can buy a Nikon D750 begin mid-October 2014, you can get a price of $ 2299 D750 (body-only). It was reported, that Nikon will launch a 24-120mm lens f / 4 VR for the Nikon D750. Nikon lenses are known sharp and able to produce beautiful pictures, bright and stable, especially if you attach it to the D750.